A fresh update of Google Play Services is headed out to our Android hardware around the world. This brings the framework package up to v8.4 and actually carries a couple of user-facing changes for us to check out. 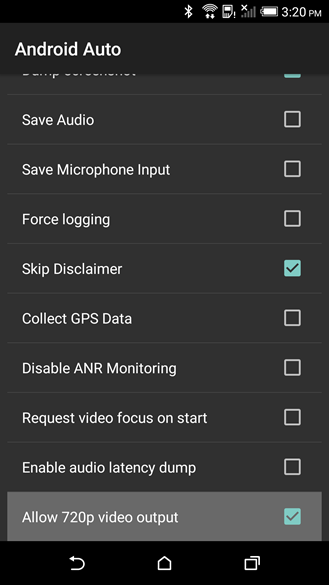 There's nothing too big, which is pretty normal for a Play services update, but there are some nice visual touch-ups for Smart Lock and a new option in the Android Auto developer options. But that's not all, a teardown shows that we're getting much closer to family organization (yes, for family sharing) and app invites will finally become useful as they can finally be sent to the people that need them most – the people right next to us. There's nothing like a visual refresh to inject a little bit of life into a stale interface. 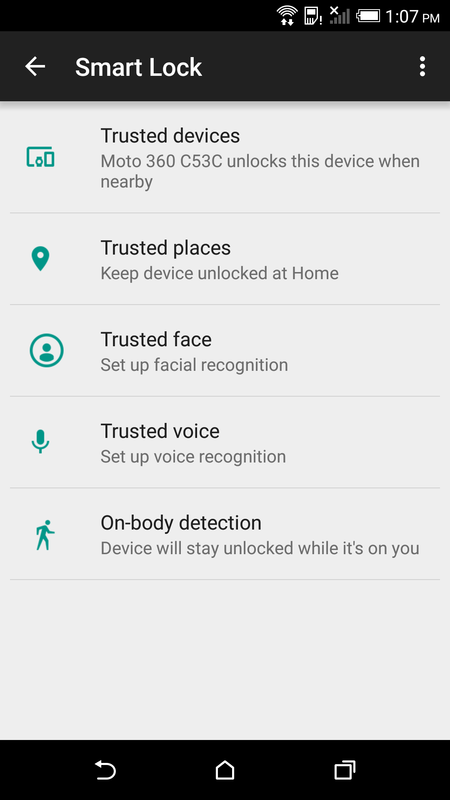 The Smart Lock configuration screen was just given some attention and some really nice touchups. Each item now features an icon for faster visual parsing and a description that might give a little more context to some of these options. The only drawback to the new look is that there's no longer a way to skim the list to see which options are enabled. That's probably not a big concern, but it would be nice in some situations. 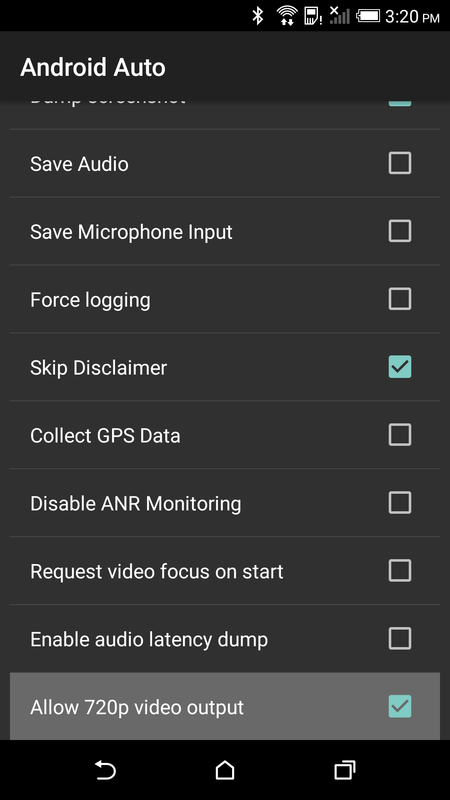 Play services is actually the home for most of the software that makes Android Auto tick, so it's not very surprising to see the developer options are actually included here. A new option turned up with the description "Allow 720p video output," which probably just enables higher resolution output for head units once they start to see higher resolution screens in the near future. Don't forget, they're all still pushing 480p for some painfully dull reason. Disclaimer: Teardowns are based on evidence found inside of apks (application packages) and are necessarily speculative and usually based on incomplete information. It's possible that the guesses made here are totally and completely wrong. Even when predictions are correct, there is always a chance that plans may change or could be cancelled entirely. Much like rumors, nothing is certain until it's officially announced. Google introduced the App Invites API so developers would have a way to "help" their users to promote apps. There aren't any public numbers to show if it has been successful, but it is an option. The API currently allows for sending invites via SMS or email. This is fine if we're telling our parents about an app and want to save them the trouble of looking for it in the Play Store, but it's not really ideal for the very common situation that we want to introduce an app to somebody right next to us, especially if we don't have a phone number or email address to send it to. Enter Nearby. It's only one string, but there's no need for much else. The prefix shows that this is a part of the Nearby API, and the 'ai' is shorthand used elsewhere for the App Invite API. 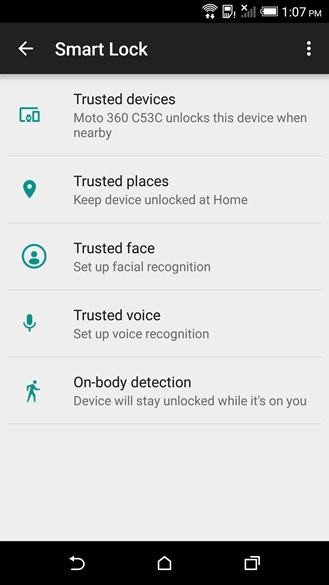 As this is an app name, it will probably show up in the list of apps that use Nearby. I know what you're thinking, you could already do this with NFC and tapping two phones together. Well, NFC is older, and as we all know, new is always better. Besides, this actually should be easier. It was just about two weeks ago when a Play Store update gave us the first really solid evidence of family sharing and gifting of purchases on the Play Store. Gifting looked like it was pretty close to ready, but there were still a lot of gaps for family sharing. Consider those gaps closed, or not far from it. You must be 18 or older to create a family group. All members of a family group must be 13 or older. Only personal accounts are allowed into a family. That means no Google for Work or Google for Education accounts. You can only change family groups once every 12 months. Nobody can be a member of more than one family group at a time. You must leave an existing family before joining another one. There is a limit to the number of family members, but it doesn't appear to have been specified yet. There can be only one family manager. Emails will be sent to all family members when somebody else joins or leaves the family, or if the family group is deleted. Invitations are sent out by the family manager and can be accepted or declined by the recipient. Invites can also be cancelled after being sent. Purchases by family members will be charged to the family's designated payment method. Apps, movies, books, and music can be shared between family members. There are a couple of things from these notes worth discussing. To begin with, the text is worded in such a way that suggests all purchases go through automatically, but it's possible to hold in-app purchases for approval. This could be text for a rule that is always in effect, or it may be an option family managers can choose for their family. I expect it's the latter since some families obviously shouldn't give free run of a credit card to a 13-year-old. As for the purchase method, it's starting to look like multiple payment methods or methods for personal purchases won't be allowed. I have a hard time believing this is accurate, but the wording is vague enough that it could be read a few different ways. It's worth calling out one specific line that finally and truly confirms apps are included in family sharing, along with movies, books, and music. Technically, TV shows and magazines aren't mentioned, but these are probably assumed to be included with movies and books, respectively. On the other hand, with the way content licensing goes, even those assumptions are a bit risky. There are surely plenty of remaining questions, but we've now got a much better picture of what Google plans to do. The top question, of course, is when this will launch. I still expect the Play Store terms will have to be updated to support these changes, so it's unlikely anything will happen right away, but it's certainly looking closer now that both the Play Store and Play services seem to support the family organization. These are the variants we have available as of this post. New variants will appear regularly, so keep checking back on APK Mirror if one for your device isn't available. It seems that 7YZ builds became 4YZ with Google Play services v6.5. If you were on 7YZ before, you should now install 4YZ. 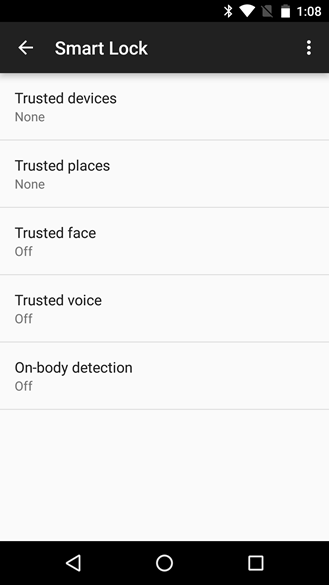 It seems that 4YZ builds got split into 2YZ for Lollipop and 4YZ for Marshmallow with Google Play services v8. 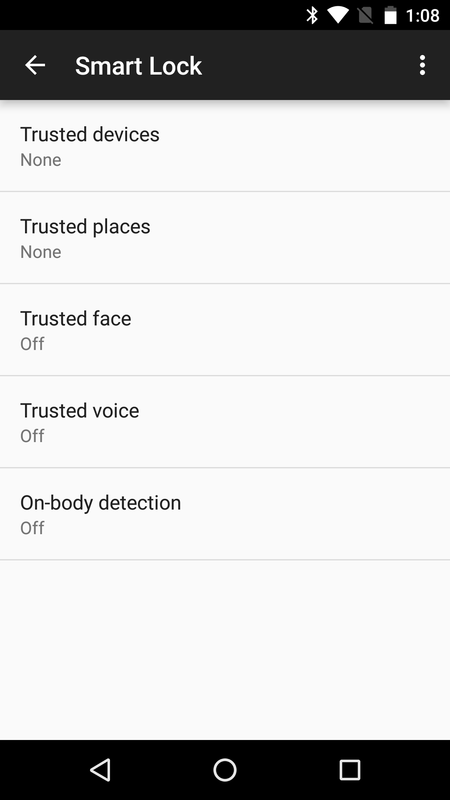 If you were on 4YZ before, you should now install 2YZ in Lollipop and 4YZ in Marshmallow.